All VARIMANT-TWO-S and ONE-S models are equipped with our innovative Flex spray hoods. Herbicide tanks and other components are enclosed in a metal housing for better protection and all models have an electronic atomiser monitoring system, which indicates via a coloured LED whether the unit is functioning correctly (green) or whether there is a malfunction (red). 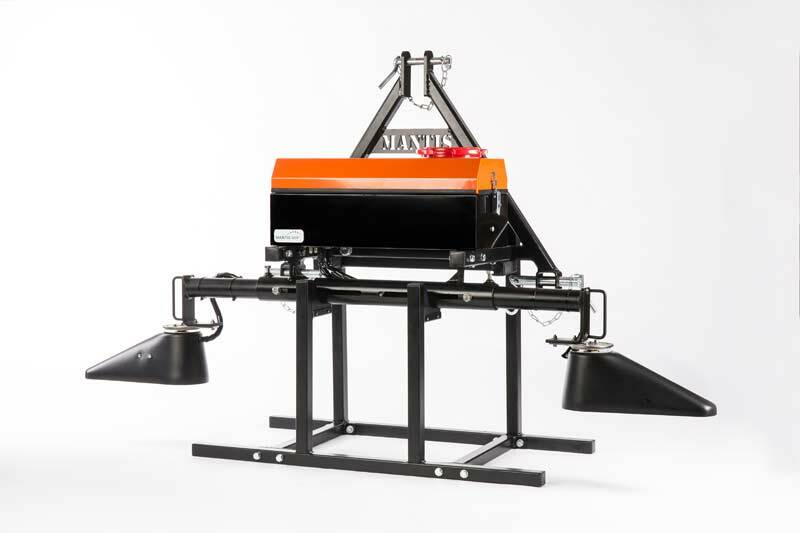 The new Varimant models have one or two side arms to which the spray hoods are fixed and are ideal for use in large-scale row cultivation, e.g. 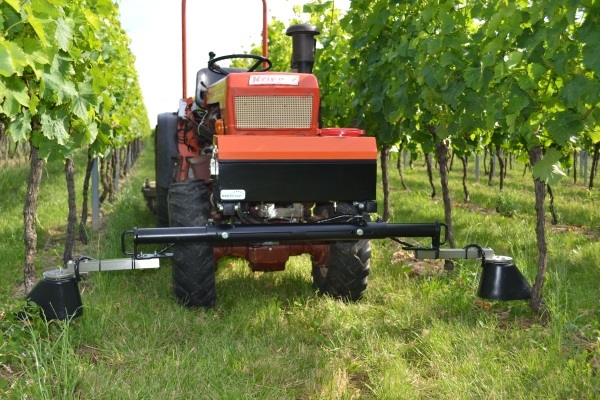 vineyards or tree nurseries, for spraying herbicides along the rows. 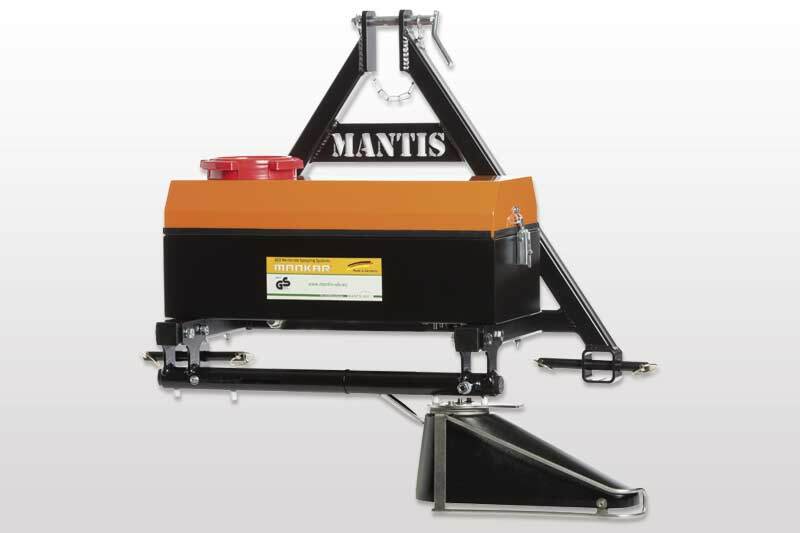 They are available with a 3-point hitch category 1, 2 or 3. 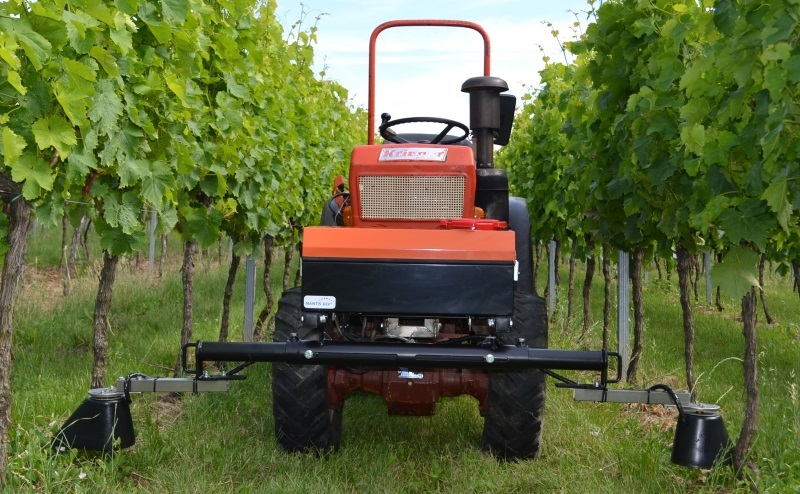 The operating width can be easily adjusted mechanically in standard units. Larger extension widths, as well as hydraulic or electrical width adjustment, are available upon request.